When I took early retirement, Jacky was my first client. She owned a small aquatic plant nursery and a three acre garden. With no other help she required some ‘intelligent horticultural muscle’ (why me?). She employed me one day a month to control her weeds, prune, (I hated the massive prickly ‘Kiftsgate’ rose that climbed high in a tree) and help her with projects. 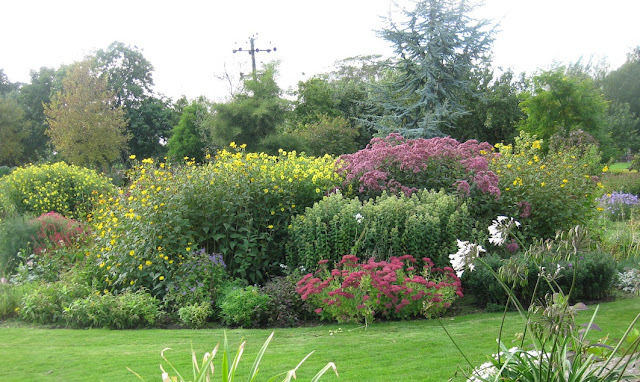 One of my first tasks was to spray weeds in a giant herbaceous border. I carefully sprayed the extensive rosebay willow-herb. She later gently informed me it was the refined white cultivated variety! An early project was to create an arc of five huge mixed shrub/herbaceous borders in an existing grassed one-acre paddock. I have to tell you she had the heaviest clay you can find. At the end of the road a potter called Rollie, makes the finest of pots from the same clay! We marked out large simple elegant shapes with bamboo canes, then vertically slit the agreed edges and sprayed with glyphosate. There was no cultivation. A few weeks later, plants were inserted directly into the dead turf. Jackie’s secret weapon was that she had a special supply of five-ton loads of mushroom compost from a local farm. What a fantastic mulch to lay on the surface. Mushroom compost is a mixture of well rotted manure, peat and lime. Two years later she had the most fantastic mixed borders you can imagine. Not to mention wonderfully fertile, slightly elevated soil. Jackie came to horticulture via flower arranging. 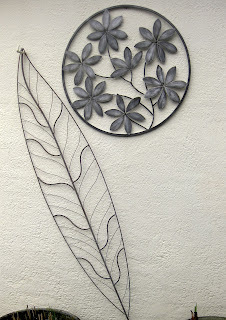 She holds a Chelsea gold medal and with help, creates fine floral displays in Ripon cathedral. 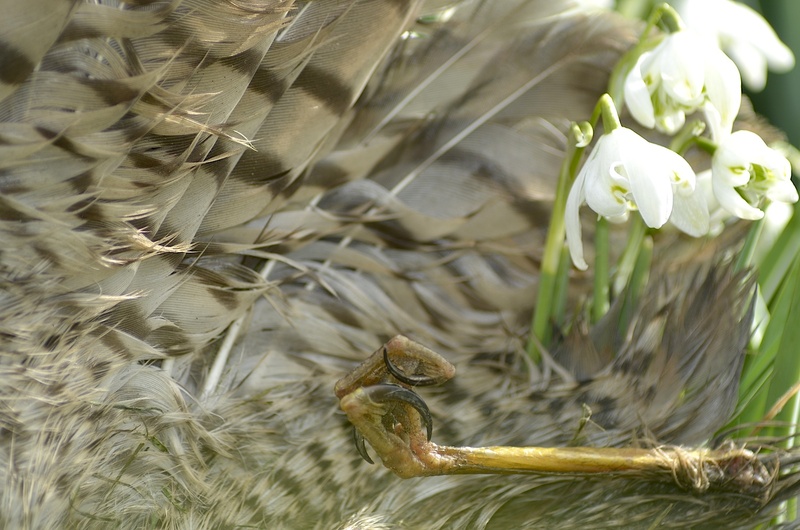 Ten years ago Jackie downsized to a tiny garden in a small village near Ripon. She moved just down the road! 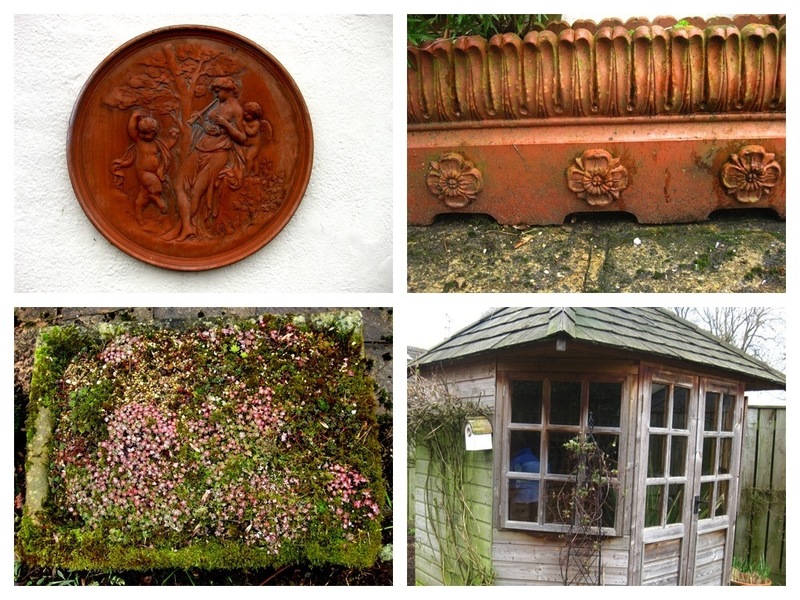 Before moving in, she had in her head, already planned every detail of her new garden. Even before, the concreted front garden was restored. She once paid me the compliment of telling me that I had a floral arranger’s eye when I pruned. That is the real secret of pruning. I love to be presented with a group of overgrown shrubs, they become my canvas to create a picture. We go up to Jacky’s to prune every two years, not as a client but now as a dear friend. It is always a wonderful day. Brenda and myself return home with lots of plant ‘goodies’ after a very fine meal. From my point of view its the best kind of pruning when all my debris is immediately cleared-away by two hard working ladies. I always admire Jacky’s indoor decoration. Only a flower arranger would put a plant in the shower! We arrived at 10.30, had a quick coffee and planned the campaign as we moved to inspect the garden. Jacky had listed nine tasks and I added six more. 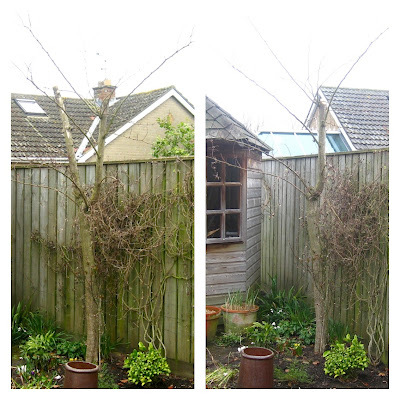 The first question was should the cercis with dieback stay or go? We elected for it to stay and with just two cuts with the saw it was reprieved. A clematis and a climbing rose had clearly been having a battle on an obelisk and the clematis was winning. Fairly dramatic cutting back of the clematis and a little thinning of the structure of the rose will restore the balance. A few further climbing roses and a shrub rose were starting to become densely crowded. About 25% of old growth was thinned away. A very nice strong growing hydrangea in a tub was getting somewhat crowded at the base and was interspersed with a few straggly shoots. About 20% of the shoots were cut away with felco secateurs at the base of the plant. I was starting to get in my stride. At the front Cornus sanguinea ‘Winter Fire‘ required a decision. Should it be thinned out, or cut back which is normal practice at the end of March. We elected to cut back. Unlike most other coloured stem cornus it was not necessary just to cut back hard. This variety tends to have suffficient new shoots already emerging from the ground that the best option was to cut the main plant completely away. Before and after. Will a repeat operation be needed next year? Who but a skilled flower arranger would have the imagination to stand her pot plants on a Singer sowing-machine stand. Three wall shrubs in front of the window were getting out of hand and threatened to shade the room. Unfortunately the ceanothus had made such a thick stem it was past training back and had to be cut away. Fortunately there was enough whippy growth left to tie-in and start to retrain. An adjacent, yellow shrub jasmine had become far too big for the garden.This was cut back hard so it will rejuvenate from the ground. Job done. Distinct spaces have been created for the wall shrubs. Often, you cannot prune a plant in isolation without consideration of its neighbours. The agapanthus has breathed a sigh of relief! Jackie lectures and demonstrates on willow weaving. Fortunately she needed no help here. There were just a few jobs left. A couple of small trees needed a little formative pruning. We agreed together which branches to remove. A quick burst of my petrol driven hedge trimmer- thankfully it started on the first pull - was need to cut-back a few clumps of epimedium tight to the ground. It will make soft new foliage and quickly make a fine display of compact delicate flowers. Many gardeners do not realise that the fine ground cover Hypericum calycinum responds to this same Spring treatment. 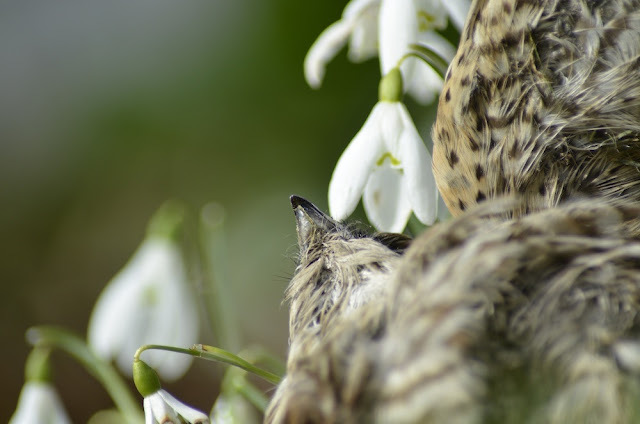 Rather than being a scruffy embarrassment to a garden it becomes an absolute star. Perhaps my previous title ‘Garden myths debunked’ was rather pretentious but I felt inclined to retain it for this one! It is so contrary to what I as a no dig gardener believe! It then occurred to me that in some circumstances it might be true! Can it really be, that some gardeners abuse their soil so much they need to cultivate to aerate? In fact, clearly any cultivation aerates, but is it necessary, what does it do and is it desirable? In one sense aeration that promotes the breakdown of organic matter is part of the traditional gardening and agricultural scheme as I discuss in this previous post. My argument is that nature aerates her undisturbed soil without the need for any mechanical aeration. We will turn a blind eye to errant moles and rabbits! 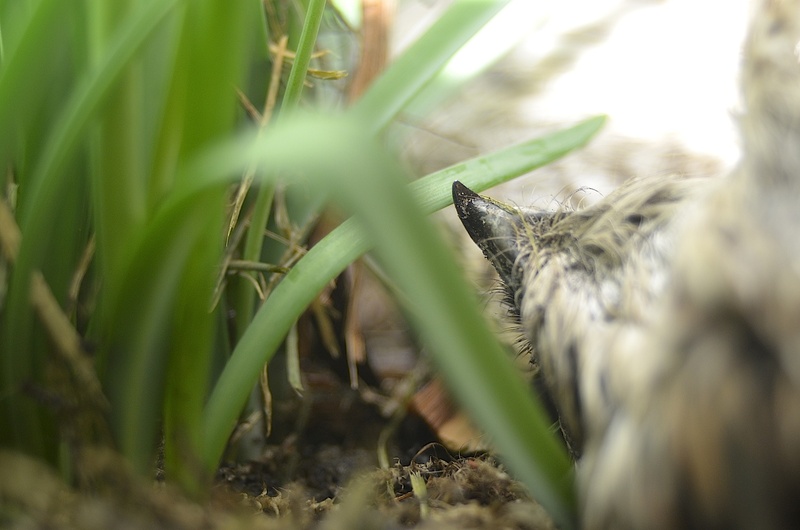 The rabbit subscribes to the theory of aerating and like many gardeners likes to ‘show off’ the crumbly soil, thereby starting the process of the soil’s structure destruction! Fortunately I can kick back this soil and tread it down. This great hole in my herbaceous border is causing less plant damage than the digger who digs around the plants. Sometimes I read that I should dig the soil to aerate it. I get quite cross. It’s not that there are not legitimate reasons to dig, better gardeners than me dig. It’s just the reason given! I know the railways protest “it’s the wrong sort of snow” and now its my turn, “it’s the wrong type of aeration”. When a soil is energetically cultivated the natural internal structures are ripped apart. Apart from destroying natural cracks and channels that provide drainage and aeration, soil aggregations - intimate mixtures of organic materials and particles - are exposed to the elements. The soil is aerated, it is super-aerated and organic matter is oxidized away. An undisturbed natural soil delivers essential oxygen to soil life in a much gentler, kinder and controlled way. No comment! Location withheld to protect the guilty. It’s when I read I should dig the soil between my plants to aerate that I really go spare. Light hoeing is fine for weed control and I can even - with difficulty - tolerate a light fluffing through for cosmetic reasons. But digging, please no, and rotavating between nursery rows is quite beyond the pale. Don’t people know that churning the soil between growing plants is not only bad for the soil, it’s bad for the plants! Loosening the soil between plants does let in air, but it also cuts away any roots that might in theory benefit. Yes, they grow back, but what a waste of their energy, when they are likely to be chopped again. It’s interesting to ponder what induces roots to grow out into the soil. They grow towards air and they grow towards water (importantly, they do not grow towards dry conditions in search of water). Soil at the very surface is that which is best aerated and after rain is wet. Roots want to grow to the surface and not be chopped away. It is ironic to think about herbaceous borders dug over in autumn when the soil later becomes excessively wet in winter, where the ground is badly drained. An elevated water table displaces oxygen and deep roots die. The ones at the surface have been cut off or damaged.The first spell of dry Spring weather the plant is dead. It’s not ill fortune that killed the plants. To paraphrase the ‘red tops’, “it’s the digger that did it”. My ten year old herbaceous border has never been dug, even when planted. It was planted direct into glyphosate sprayed turf and for cosmetic reasons given a light mulch. Apart from small design re-adjustments and a little propagation, it has never been lifted and divided. My the end of February it is time to cut down. As the soil is undisturbed I can do this even after heavy rain. Even now the plants are free standing, although none have been staked. Perhaps not your idea of tidy! In a few weeks there will be lush green leaves. This fine miscanthus is not pollinated by insects. 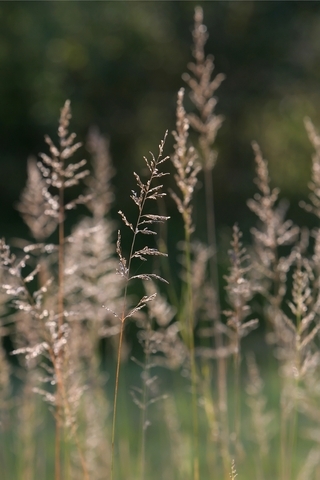 Grasses are wind pollinated, as are conifers and many woody plants such as elderberry, (my own hay-fever bête noire). 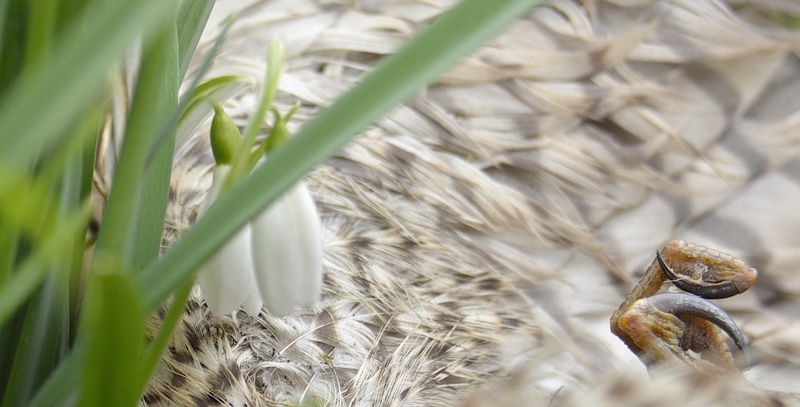 Wind pollinated plants have their own special strategies to ensure pollination. 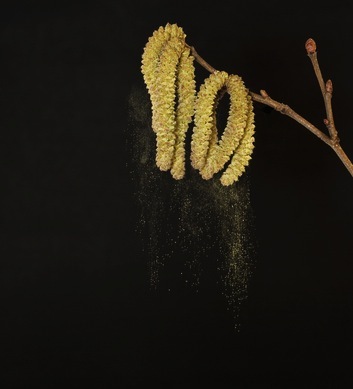 They produce prolific amounts of very small light pollen that is carried on the air. They frequently have separate male and female flowers, the latter with large receptive stigmas often held away from small leaves. Before you go out and dig up your grasses it is worth reflecting that pollinating insects require more from flowers than nectar. Bees have ‘pollen baskets’ to transfer protein rich pollen back to their broods and also collect waxes and other nutrients including stimulants as we will see. Bees are frequently observed visiting grasses to collect pollen. Many honeys have flavours of wind pollinated plants. A bee’s electrostatic charge can attract air born pollen which gets carried back to the hive. Most of our garden plants, are insect or animal pollinated. Apparently 200,000 different organisms provide this service worldwide. This pollination strategy usually involves attractively coloured flowers, nectar production, rich aromas and large sticky pollen. 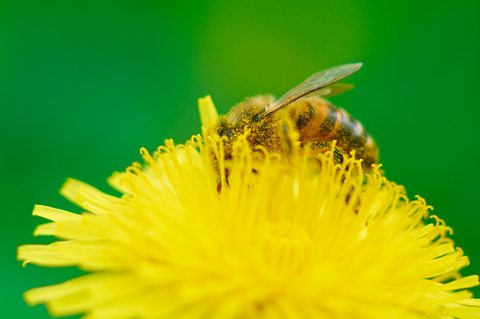 In many cases animals and plants have evolved in tandem as each make their own contribution to the efficiency of the joint venture - the transfer of pollen between plants and the provision of nutrition for the animal vector. I use the terms ‘rich aroma’ and ‘attractive’ advisedly, the aroma may be foetid and the attraction visible to the insect and not to ourselves. Indeed some colours imparted in modern varieties by selective breeding might not be visible to the bees! Bees are able to see ultra-violet colours invisible to ourselves.They are sensitive to colour at the blue, yellow, violet, end of the spectrum.They are not attracted to reds but other pollinators are. 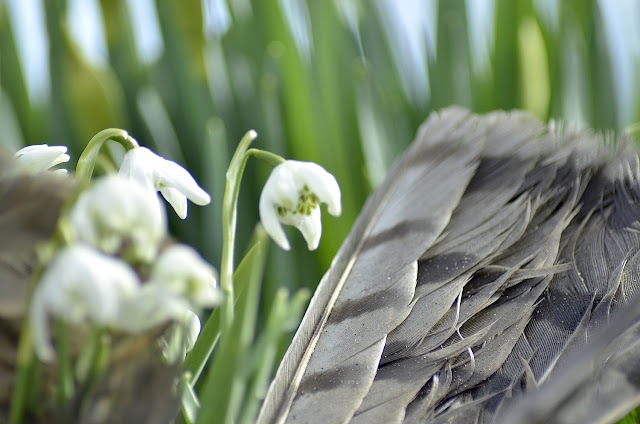 Bees perception of a flower is very different to our own as this link shows. This picture would seem to belie my assertion that bees are not attracted to red. Could other attractions have seduced her, or is she seeing something different? Most of us are familiar with nectar guides. 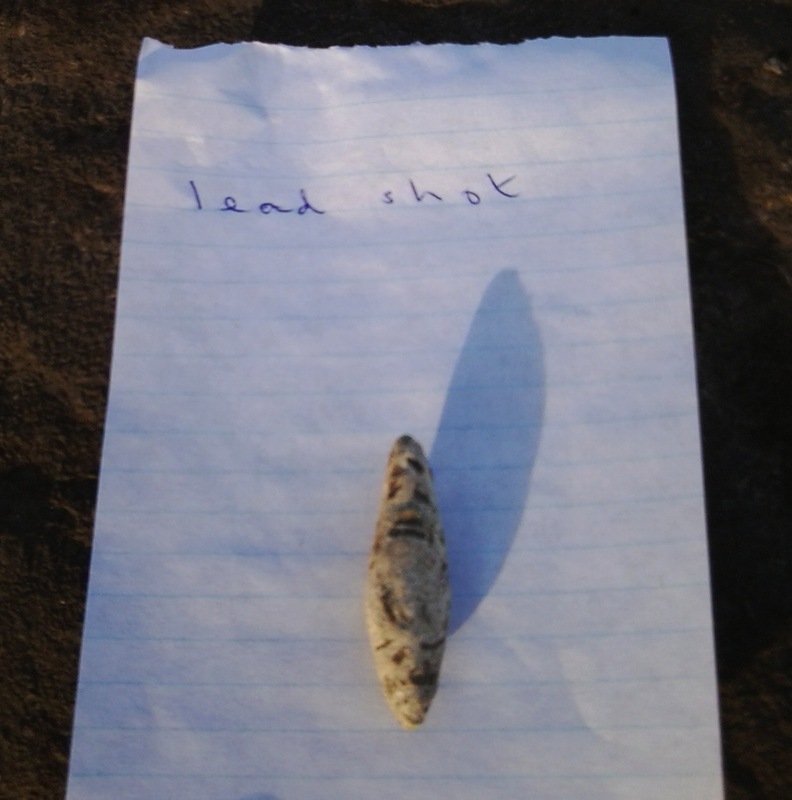 These are the visible, or to us, sometimes invisible guides, for insects to find their nectar. From the plant’s perspective, it ‘wants’ the insect to be covered with pollen as it seeks nectar. Most of our plants have many different potential pollinators who might benefit from this flight directional service. Others have evolved very specific mutual exclusive arrangements. The survival of the ivy bee is completely dependent on ivy, although the ivy is not uniquely dependent on to the bee. Yucca’s relationship with the yucca moth is completely exclusive. Without each other, the yucca cannot set seed and the moth cannot breed. If bees moved between different flowers in a completely random fashion, flowers would be cluttered with different plants’ pollen. Bees often display flower constancy where an individual bee remains loyal to his particular provider. 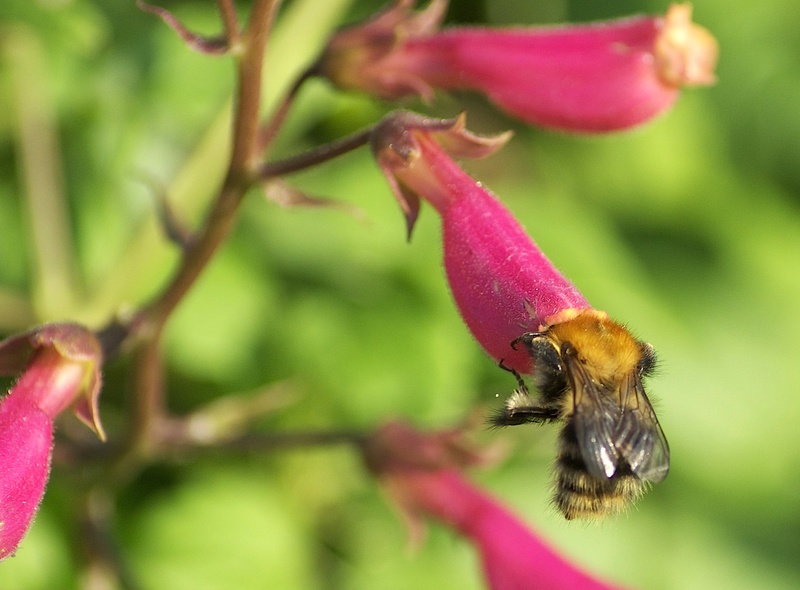 There have recently been two fascinating findings about pollination by bees. 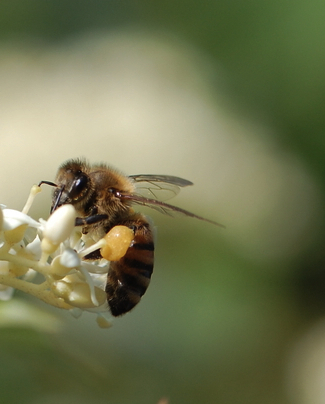 Caffeine might give bees a buzz. Thanks to National Geographic for this newly reported research by Geraldine Wright at Newcastle University and thanks for the pun! Research on the coffee plant and citrus shows how bees are attracted to the stimulant properties of caffeine in a plant’s nectar. From the plants point of view not only does it attract bees, it sharpens their faculties, so they remember where they have been! It is interesting to recall that many plants produce caffeine as a toxin to deter pests. Coffee is a particularly potent killer of slugs! As with many things in life, a little of what is bad for you might do you good. Nature ever so delicately, treads a very fine line. Helleborus orientalis The lenten rose. I have many fine plants in my garden. Brenda scolds me that when plants are expensive, or difficult to propagate, I only have one! On the other hand easily propagated plants are rather well represented. In the case of lenten roses they are all over the place! They litter my cemetery gardens and are threatening to do the same on the village plot. They are very fine plants, yet today, this dull misty, typical Vale of York grey March morning, I feel rather jaundiced about them. I have loved hellebores for forty years. 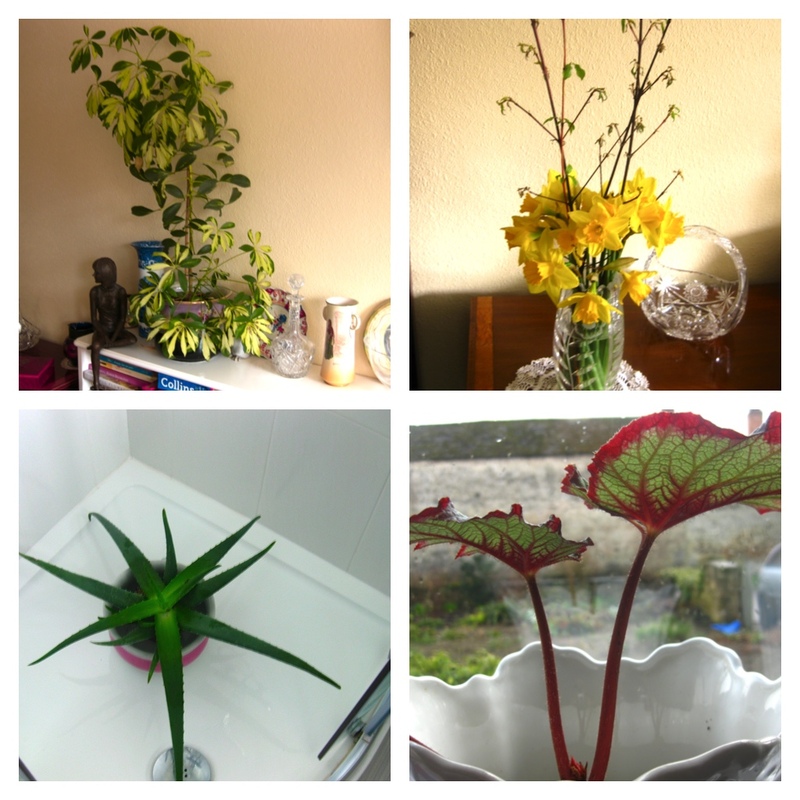 It’s bit like a marriage and one becomes complacent about a plant’s fine qualities. I have made a list of the reasons why they should regain my esteem. They flower prolifically for three months and come into flower in February when flowers are so welcome. Unfortunately except for some exciting new varieties their flowers nod to the ground. You need to get on your knees…. The individual flowers have exquisite beauty. Although they do not completely come true from seed, every new plant is of remarkable quality and normally not very dis-similar to its parent. They have the potential to naturally seed themselves and naturalise to make fine large clumps. They grow anywhere. Dry situations in shady woods right through to full sunshine in somewhat wet places. They thrive in all manner of soils, be they light or heavy, acid or alkali. They infiltrate into all manner of places such as cracks and crevices between rocks and paving. They even recover from a careless glyphosate spray! 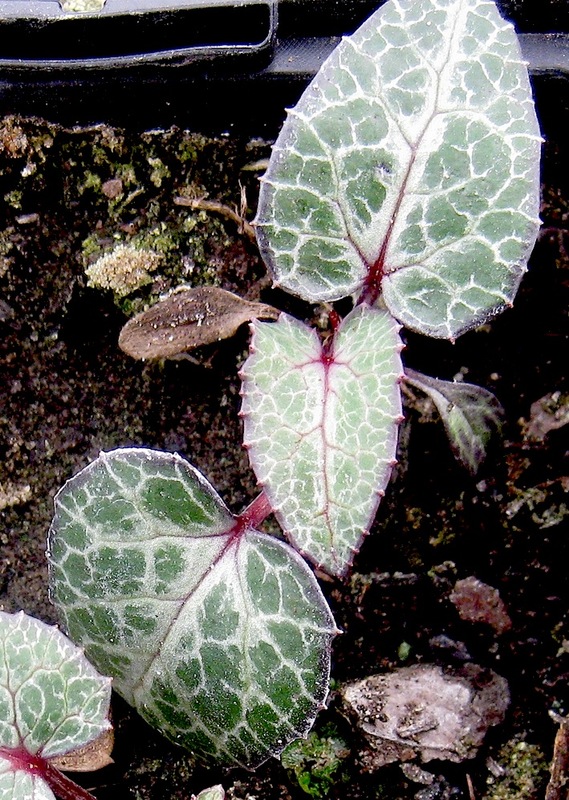 Their fine glossy foliage shines throughout the whole year - but read on about leaf disease. 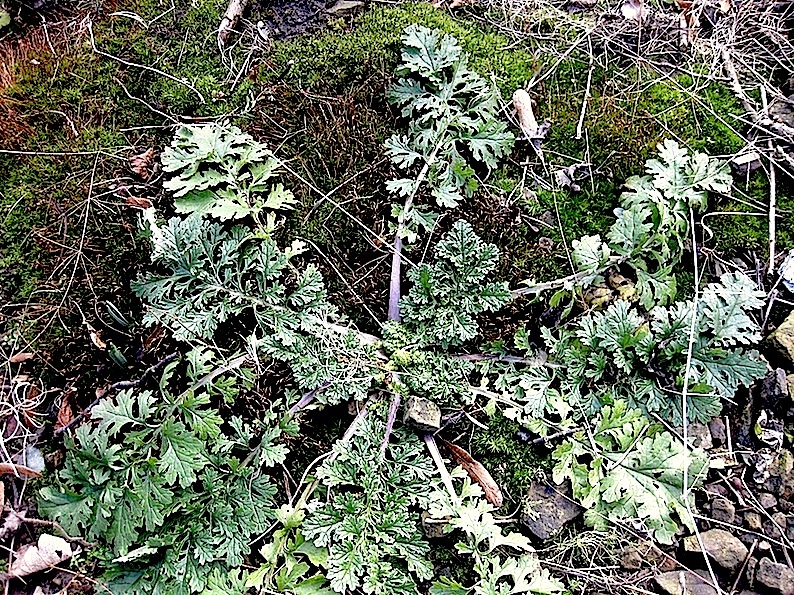 The plant is completely hardy - although this March, almost uniquely, a few of my plants exposed to strong, persistent, dry winds when they were hard frozen, were scorched. Easy to propagate from seed. 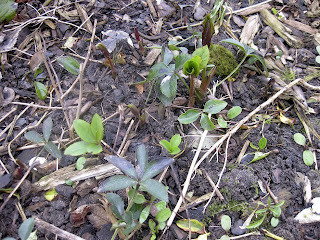 All these hellebores have been raised from seed. 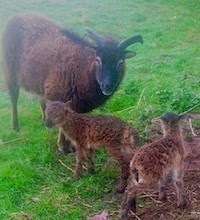 The top six are small variations on their parents. 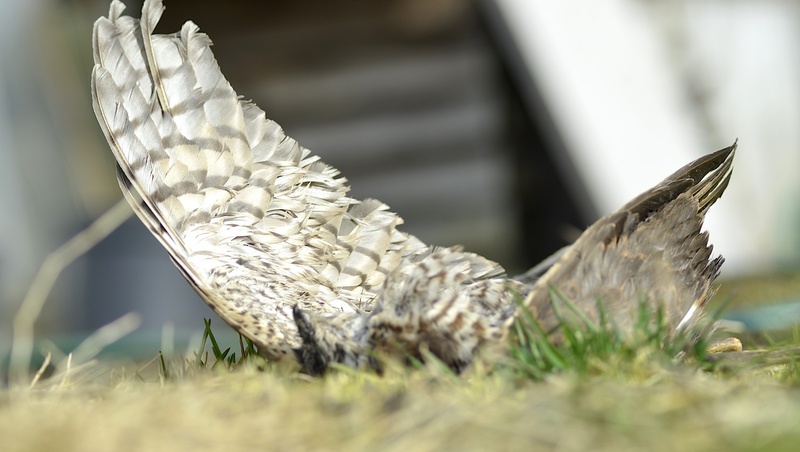 The bottom two species for practical purposes ‘come true’. 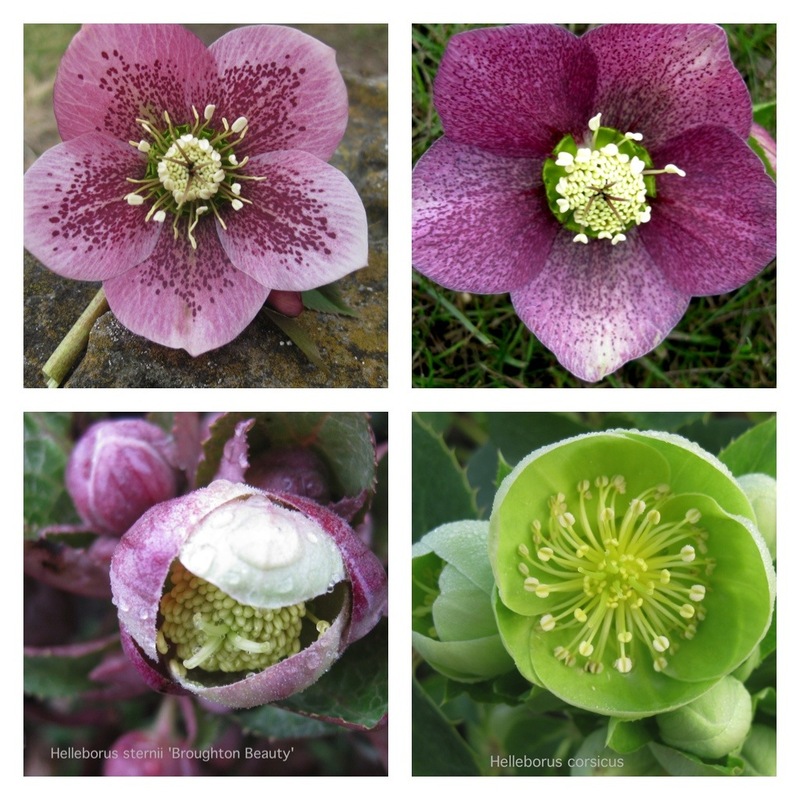 Most garden species of helleborus seed themselves freely and germinate when the soil is still cold in January and February. In gardens where proper weed control is established the seedlings are prolific and perhaps more important, not hidden, or worse overgrown. They can be left to naturalise or be carefully eased-out of the ground to be grown-on in seed or potting compost. Young plants move very well with little check. In my own case I frequently lift out one and two year-old plants and pot them up for sale on open days several months later. If you prick out newly germinated seed they will take three years to produce flowering plants. This might seem a long time to impatient propagators. The fun of having gardened a long time is that you have maturing young plants in your nursery system and each year are rewarded with fine new plants. 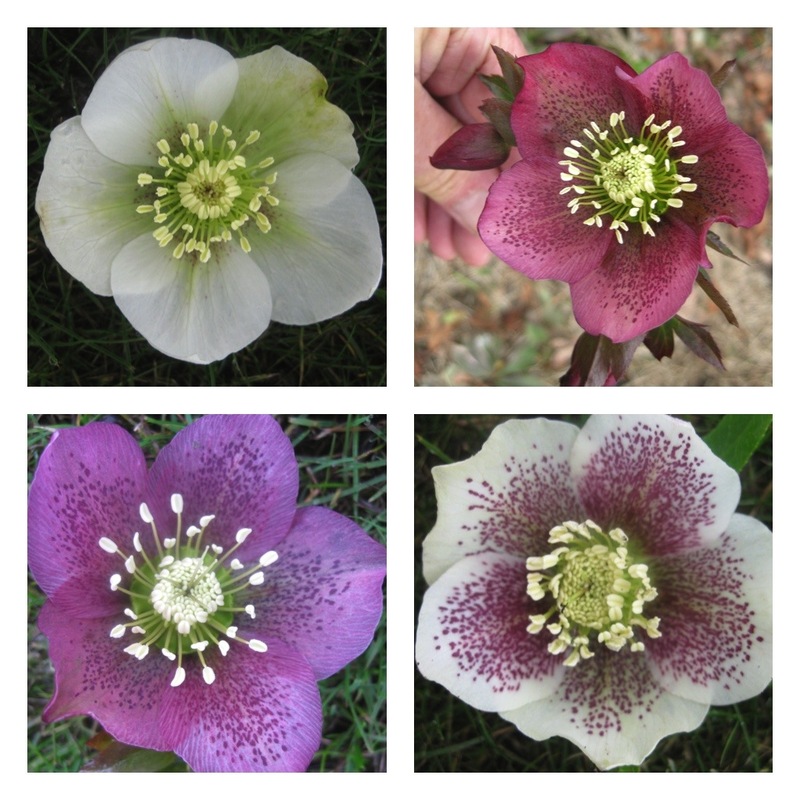 This is the only way to raise new stock of genetically identical, named helleborus varieties - if you are new to horticulture read this link In the past and without much enthusiasm, I have used a sharp spade to slice out large divisions and have planted them in client’s gardens. If lifted and planted in late autumn they have already initiated flower buds and flower well in Spring, only to disappoint the following year! Planted at other times they just sulk for a year or two before they become established. I think you might divine I am not too keen! Recently some blogs I follow, have questioned the practice of cutting back old leaves in Autumn. It does seem a pity when the leaves still are healthy and glossy. Why reduce all that photosynthetic activity and weaken the plants? They may have a point but I have no intention of changing my established practice at this stage. I do however wait until Christmas before cutting them back! There are two sound reasons to cut back. Disease control. There are a quite a large number of fungal leaf diseases that will badly disfigure hellebores. Cutting back leaves and removing them from the site is an important cultural control which gives new growth a clean start. Fresh new leaves appear alongside new flowers which are much more attractive when not hidden by old leaves. 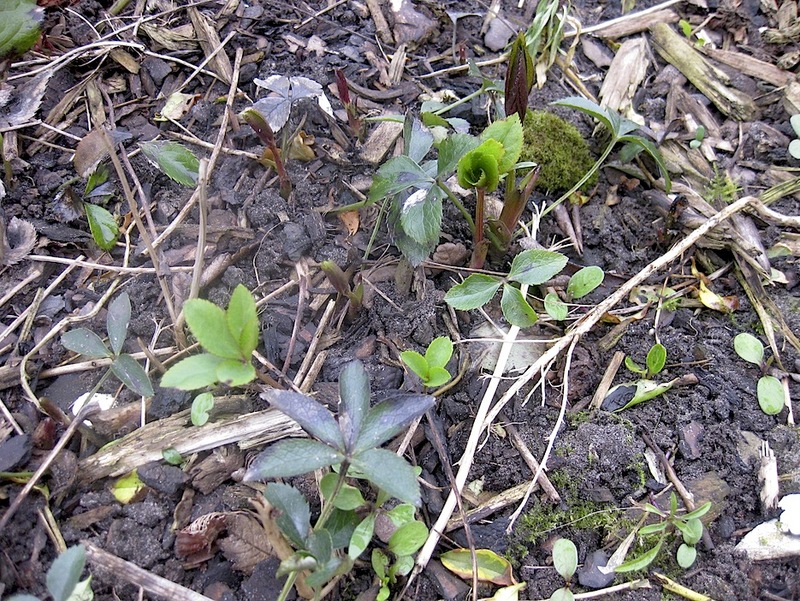 Helleborus orientalis can be completely cut to the ground - assuming new flowers have not yet appeared. Such harsh cutting back may not be appropriate with other species that carry flowers on the old stem structure. With such plants it is best to carefully remove individual diseased leaves. 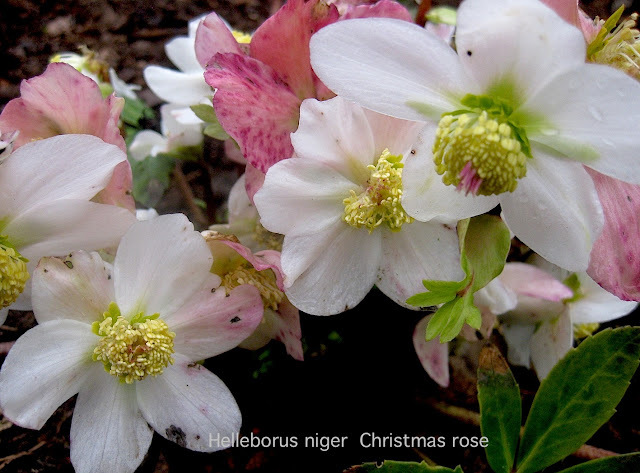 Writing this post seems to have restored my enthusiasm for hellebores. I have splashed out on three plants from Ashwoods Nurseries today! Strictly, digging involves turning over the soil. Readers will recognise by now that I use this term flexibly and as a minimum cultivator use the word to indicate any significant disturbance of the ground, be it with spade, fork or rotavator. 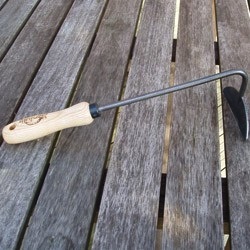 Sometimes in this series I write about legitimate reasons for using a spade. On other occasions I write about soil disturbance of which I disapprove or do not choose to use. Seven years ago Brenda’s son moved into a new house (he has moved several times since!). The builder had spread ‘topsoil’. 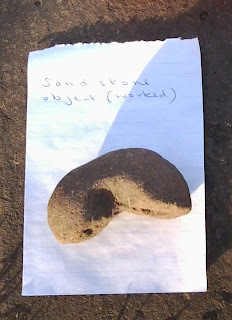 Unusually, it was good soil, except that great lumps of pure clay were mixed in. We spent a very happy morning bonding as we walked the plot forking out great yellow clods! In some respects if you are a none digger it matters little what is buried below, and as to stones, they may do no harm and might be beneficial. Worsbrough cemetery is 50% stone. It must be the worse place in the UK to dig a grave! The only stones I remove are those I want to take home! They are dispersed on the surface by the grave digger and every time I visit, I just help myself! At Worsbrough there is nearly three acres of naturalised vegetation growing on un-dug soil that is half stone! One situation where it is necessary to remove stones is when making a quality lawn. If left in place in the top ‘spit’ such stones will leave unsightly yellow patches in dry weather. When we moved to Boundary Cottage we did not know the whereabouts of the municipal rubbish dump. We asked the house vendor “where’s the rubbish dump?”. He answered “at the bottom of the garden!”. 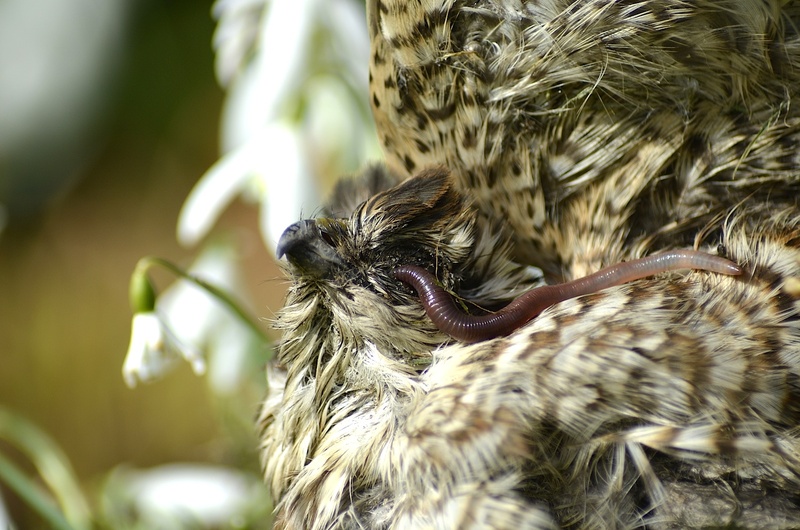 Sure enough, surrounded by scrub, there was a great heap! Among all manner of rubbish, it contained a well rusted bedstead and a couple of mattresses! We removed what we could and made a rock garden on what was left!. These are what she found. She was advised by fellow allotmenteer ‘Bones’ Jones who works for York Archaeology. Only yesterday former neighbour and craftsman/artist Mick Needham and his wife Janet called to show us pictures of their new home. Hanging in the hall was a magnificent chain. He had dug up a thirty year-old dog chain that had once restrained two St Bernards! It was Mick who crafted this fine mask which he gave me. Once farm cottages, my house is more than two hundred years old. They did not have bin men then! Old countrymen buried rubbish. 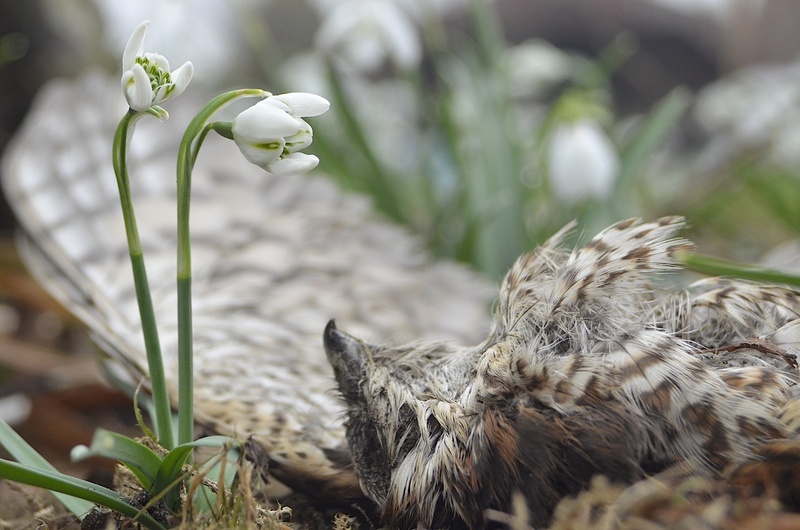 When I used to do garden advisory work from Lancashire agricultural college, I would occasionally find a problem of mysterious plant death.There are lots of potential causes, only rarely was it something toxic below. Ten years ago it happened in my own garden! My camellias had made sturdy plants, but then just one patch went into severe decline. More than a meter down there were was an accumulation of plastic bags. Goodness knows what they must have contained! This is an extremely significant topic, but it will have to wait for a future post. Let me just say, that where-ever possible I use secateurs, loppers or saw to cut plants flush to the ground and leave them in place. Why spend my energy and time to do something detrimental to the soil? Contains some pictures you might find disturbing. It must have happened ten days ago. 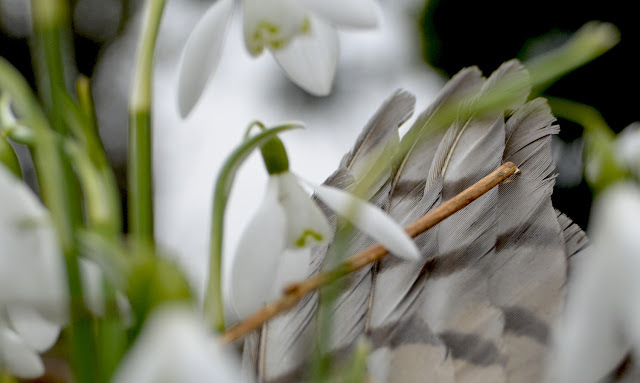 The poor sparrow hawk. In our neighbour’s garden. We think he must have been hit by a car. We have seen many sad, yet magnificent cases of his own predatory skills. Now it is his turn. 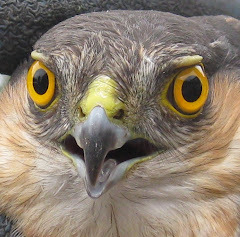 Could it be the same sparrow hawk that was trapped in our garage last year? 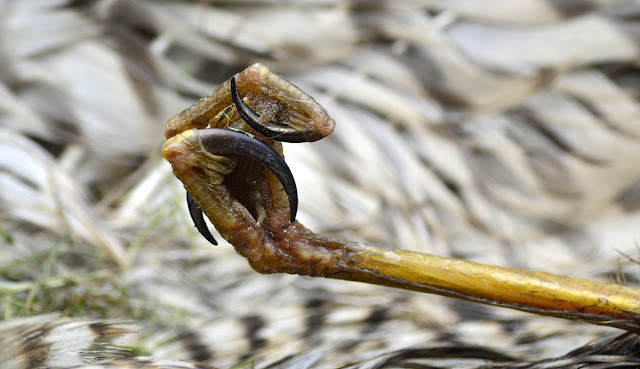 When Harry rescued him, the handsome angry bird gave us those wonderfully defiant pictures. Is it the same bird that spread-eagled himself against our conservatory window whilst Poppy our parrot quivered inside on the floor? Was it him that lorded his kingdom from our rooftop? Was he the one, who some months ago, flew into our window and, mildly concussed, picked himself up and flew away? I do hope not. Is it goodbye old friend? Is it a weed? Only if it’s in the wrong place! You might by now associate me with using glyphosate all of the time. Out of necessity in my cemetery gardens and on the village plot this is true! What I do at home is different, I use every method of weed control in the book (and not in the book). Repeatedly using the same method of weed control every time, creates an ecology that will allow specific unwanted plants to thrive. In my glyphosate-sprayed gardens, epilobiums are a menace because they are resistant. My old foreman Alec Fox, called rotavators ‘chickweed cultivators’. He was referring to how this weed loves damaged ‘fluffed up’ soil and very significantly how any deep cultivation brings buried weed seed from below. ‘Little and often' should be the rule for weeding. Tackle weeds from seed when they are small, better, very small. Do not remove them, let them dessicate and die and contribute to recycling nature’s organic matter. If you keep on top of the job and never let weeds set seed, (to some extent we all fail), weed control becomes easier and easier as the years pass. A lady once told me she just loved to tackle an overgrown patch and transform it. This is completely wrong! Whilst she is having her fun, the rest of the garden is ‘going to pot’. My own philosophy is that if I have weeded, I do not want people to say “ Roger what a good job”. I do not even want them to notice. I prefer “it looks rather scruffy with those dead weeds left on the surface!” Gardens are best managed for the long term, not for the day. There are two distinct components of weed control. One is the control of established perennial weeds, the other is tackling weeds that come from seed. 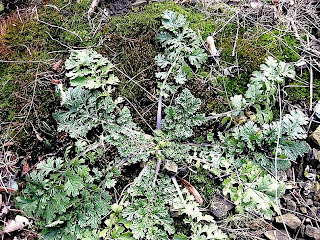 Elimination of perennial weeds, I have discussed in my glyphosate posts. Best get rid of them before you start planting. If you have couch, convolvulus and ground elder among your herbaceous plants you are in big trouble. A lady once asked me how to get rid of perennial weeds in her overgrown borders filled with rare and expensive plants. I gave her a few tips, but really I was thinking “I would not start here”. I get rather cross when almost universally, books and experts refer to the second component of weed control as ‘annual weeds’. 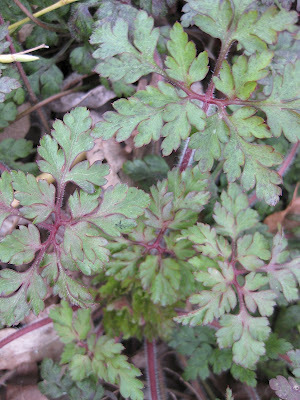 Nonsense, weeds from seed might be annual, biennial or perennial. The potential methods of control will be all the same - provided you tackle them when they are still small. 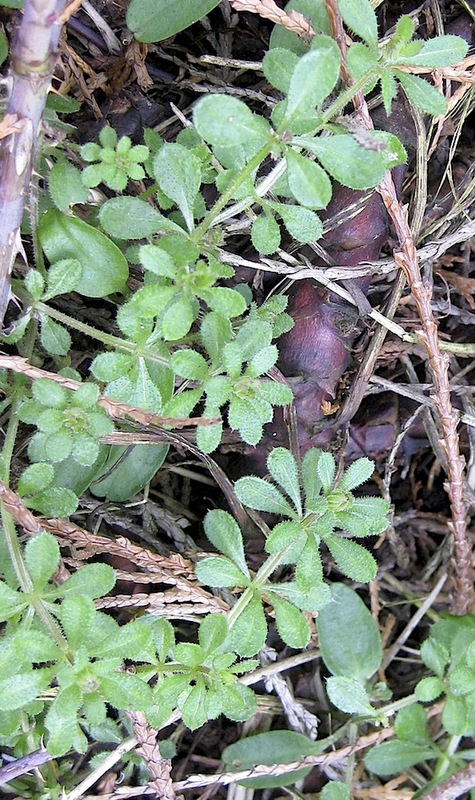 Hairy bittercress. Grows all year round. It’s very tasty to eat! Thale cress. In summer can germinate and set seed within 14 days! I am not proud, I will use any method available. I will ignore the ridicule! It’s important to maintain vigilance all year round. 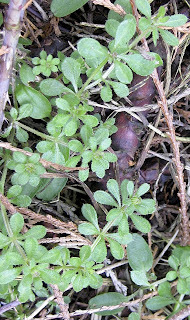 Weeds such as hairy bitter cress, annual meadow grass cleavers and a myriad more, germinate and grow at any time of year. Hand-weeding. The most accurate method for weeds in difficult places. Throw them on the ground to dessicate and die. In my own case, I know that if in wet weather they regrow I will get them with the Roundup next time! The dutch hoe. You can recognise a good gardener by his gleaming hoe. Its a joy to skim off weed on a dry summer day. On a dry windy day it’s even more successful, but perhaps less of a joy! The spade! To skim or scrape, or even insert vertically to ease out a dandelion or dock, but not to dig. A wire lawn scarifier. Particularly useful for liverwort and moss. In the right place I love these weeds but they can also be a curse. Your boot! 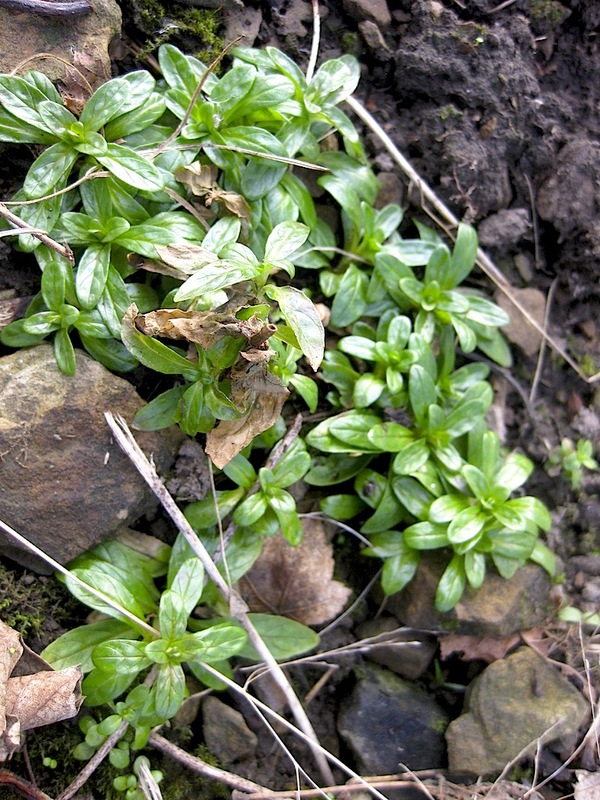 A gentle scrape on settled none-dug-soil - even if frozen - will break the neck of the bittercress or separate a rosette of epilobium from the ground. A knapsack sprayer. It is truly amazing how accurate you can spray glyphosate if you are careful. Spraying is the only easy way to get rid of established perennial weeds. A hand sprayer. It is surprisingly how effectively you can apply glyphosate this way. Spraying techniques are particularly useful in autumn and winter. The weeds are more accessible and when the soil is wet, weeds detached by mechanical means are liable to regrow.